You are viewing a list of Jeff Lewis's 1 appearance on Brooklyn Nine-Nine. 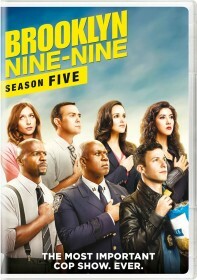 After Captain Holt and Sergeant Jeffords leave for a charity event, Jake is put in charge of the precinct. When a suspicious package containing a white powder forces the precinct into lock down, Jake must keep order among his squad, the criminals, civilians and lawyers all stuck there on Thanksgiving night.